The President’s 2013 Budget is out and it should be stated that there is no forecasting ability incorporated in this report. The projections are based on the assumption that what is in motion stays in motion. So the increase in interest expenditures that they freely show here will exceed all nondefense spending in the next decade, is based upon the idea that interest rates will remain the same. There is no anticipation that the economy would decline an tax revenues with it the higher the tax rates rise. Virtually every assumption is effectively just false. There are already plans to raise the age limit on the entitlements. The government employee pension funds are way out of control. This demonstrates that there is ABSOLUTELY no solution to the Sovereign Debt Crisis. They just plan on continued borrowing and project the National Debt will reach $26 trillion by then end of the next 10 year period. There is no accountability. There is no plan other than blame anyone with money as the reason the politicians have failed. This statement makes it crystal clear that there is no acceptance of responsibility and the only thing they intend is to raise taxes and secretly reduce entitlements, but there is no practical solution that is long-term nor is there any realization that there has to be a debt default on those very entitlements just as we see in Greece whose bonds are now with the lowest rating a presumed to be junk. The amount of wealth destruction on the horizon is off the charts. We are looking at massive STAGFLATION, rising costs (including taxes) and declining economic growth. The Presidential Candidates rant and rave about social issues from abortion to gay rights while failing to mention that all right will be gone following this course of brain-dead action. The elections are nothing more than a marketing battle between Coke and Pepsi. Slightly different flavor, but the same color, and effectively the same thing. 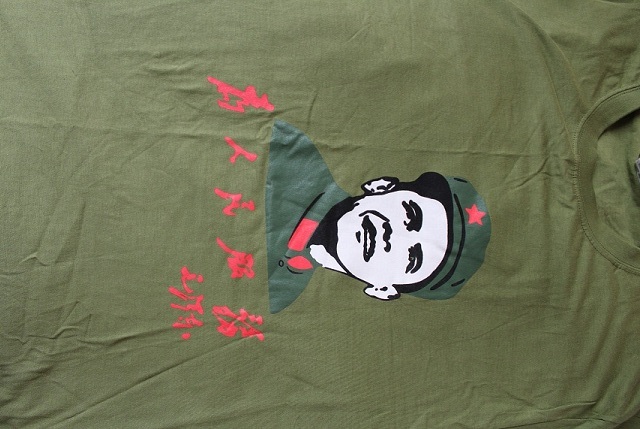 In China, the number one T-Shirt being sold portrays Obama and Mao claiming he is the Savior of America. Unfortunately, no politician in this race is even willing to look at what the hell is going on. You wouldn’t hire any of these people to even balance your own checking account. They are totally oblivious to everything and assume it will always be as it is – they will borrow forever, diminish the real value of everything, and they will retain power so they can live high on the hog at everyone else’s expense. The citizens in Western society deserve what they get. They will not open their eyes to manipulated press that supports government nonsense, the banks, and special interests. The President’s Budget even shows TARP continuing indefinitely. Once a program is passed, there is never any end. The lobbying to keep agencies in place is unbelievable. They should have merged the SEC & CFTC long ago. Because they refused to do so, they forced fund management offshore giving birth to the Hedge Fund Industry. Even when they created the mortgaged backed CDOs, there were 7 agencies that had to approve. When no one does their job, they just added another on top of everything else. The Federal Reserve was born in 1913 to effective manage the regional capital flows with each of the 12 branches maintaining their own interest rates and “stimulating” the economy was direct for it was to ONLY buy corporate paper. Then WWI came, the politicians told the Fed it had to support their debt ending buying corporate paper. With socialism, Roosevelt usurped the independence of the 12 branches making it one rate for all defeating the purpose of its design. WWII came and they directed the Fed to support US government bonds at par ending that in 1951. Then 1998 came & the Fed bailed out a hedge fund to save the banks. With 2007, they emerged with this Too Big To Fail power where they now can take control of corporations, not even banks. They are politically driven, just as QE3 has shown to the world, and they are no longer even a central bank but some rogue entity empowered to do whatever it damn well pleases without any accountability and of course it is an unelected nondemocratic institution as is most everything else that runs the government. We vote only for Pepsi or Coke and have no say over anything else whatsoever. So hang on to your socks. We will by no means make it 2022!!!! 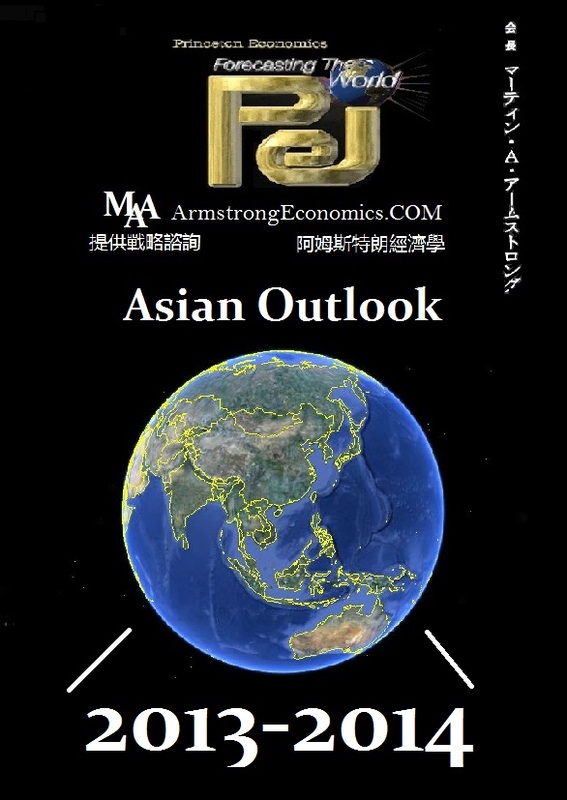 At the Bangkok Seminar we will be focusing upon Asia and provide a detailed look at how Asia will replace the United States – it is China’s turn to come up to bat. This will be a very important event. The United States is attacking its own citizens and capital. Where will capital go to next? When Europe did that, mankind fled to America. Where do we go now? At the Berlin Conference, our focus will be on the demise of the Euro. We have prepared a Special Report on the entire system and the model to enable Europe to survive. 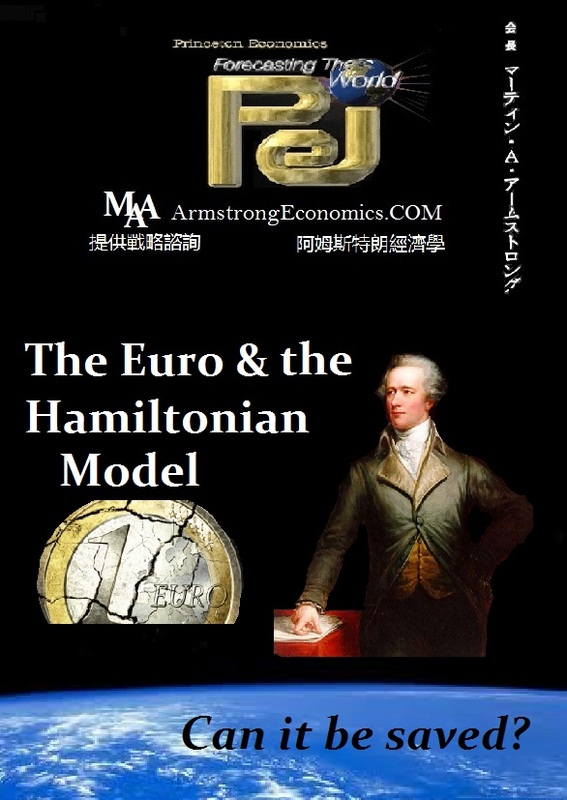 The whole question of the Hamiltonian system will also be looked at carefully. The political crisis in Europe is critical for it is once again the origin for the start of the Sovereign Debt Crisis. The birth of the Euro itself came right on target – 8.6 years from the start of the collapse of Marxism – 1989. Our Conferences will be targeted to the area. 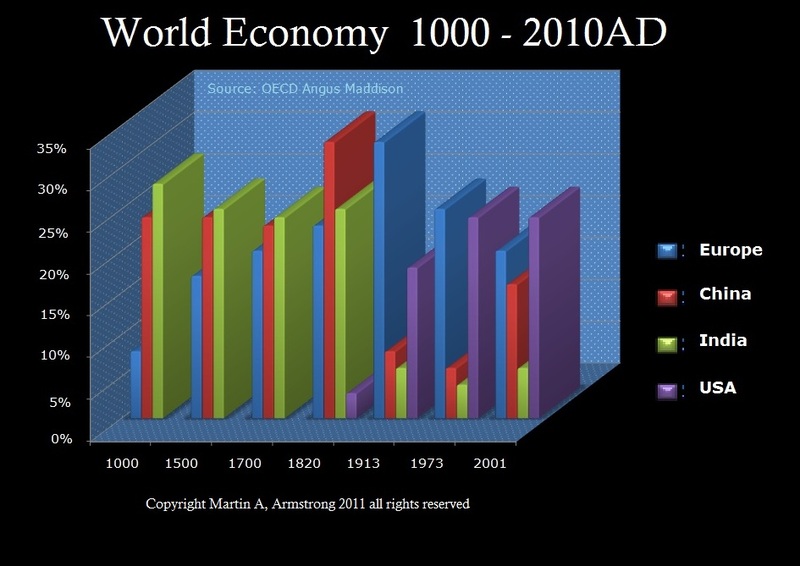 We are facing a truly catastrophic collapse of our entire economic system in the years ahead. We will give you the guide posts. You will have to tick them off as we pass each one by. Our politicians are like the idiot who is pushed off the tallest building in the world. As he passes the 4th floor, he remarks – Well so far – So good! This is our future they have screwed with just for personal gain to get re-elected by the art of bribery – Vote for me & I will give you this.